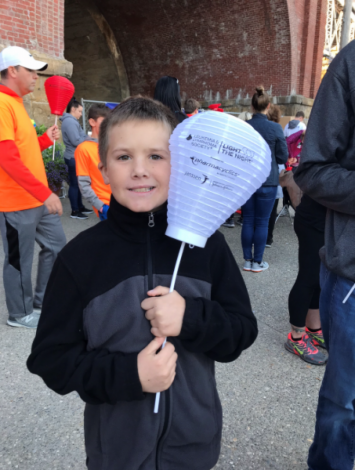 Blake was diagnosed in May, 2015, with Acute Lymphoblastic Leukemia at 6 years old. He endured 3 years of chemotherapy, needle sticks, hospital stays, and countless medications, and in August of 2018, Blake completed his last chemotherapy! Blake, now in remission, is a happy 10 year old and 5th grader at Woodfill Elementary in Northern Kentucky. Favorite activities include playing nerf guns, legos (he is SUPER quick! ), football, playing outside, and hanging with his mom and 2 dogs, Gemma and Maggie.